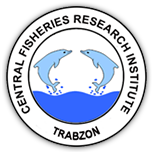 1 Central Fisheries Research Institute, Trabzon DOI : 10.4194/2459-1831-v1_2_03 Viewed : 2089 - Downloaded : 778 The DNA from the archive collections is very important for fisheries biologists, administrators, systematics and conservation biologists. Archival tissues allow access to the genetic information required to resolve the link between past and present. However, effective protocols for obtaining DNA from otolith and bone are still insufficient, time consuming and inefficient.